Marilena Loizidou is Professor of Cancer Nanotechnology and Deputy Director of the Division of Surgery and Interventional Science (SIS) at UCL. Marilena is also Head of the SIS Department at the Royal Free Campus. After her undergraduate training in Biochemistry (McMasters University, Canada), she moved to the University of Southampton where she obtained her PhD in Solid Tumour Biology and Pharmacology and became lead clinical scientist at the University of Southampton/NHS. She moved to UCL in 1993 to the academic department of Surgery, and became Head of Department in 2013. Marilena has over 150 publications and has successfully supervised over 25 research fellows. She is co-Founder and Director of the MSc in Nanotechnology and Regenerative Medicine and the MSc in Surgical and Interventional Sciences. Developing and evaluating imaging and targeted nano-therapeutic agents for solid tumours, mainly colorectal cancer, with a particular focus on the role of the fibrotic cancer stroma. Using tumouroids as testing platforms. 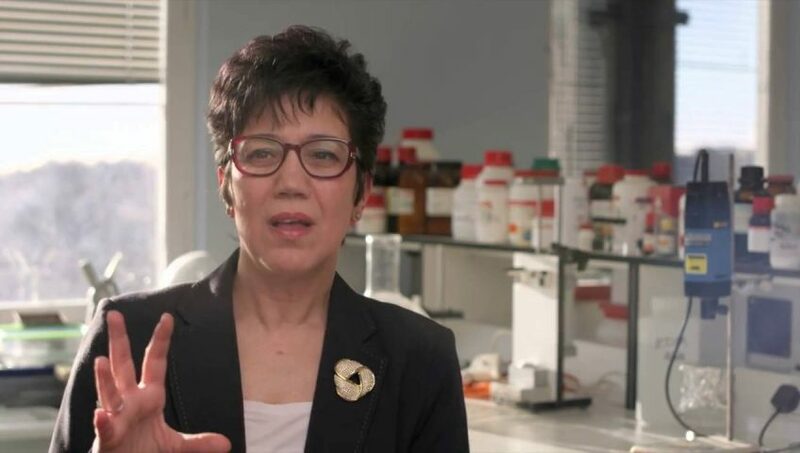 Marilena co-invented tumouroids, which are 3D in vitro cultures of cancer that mimic the composition and architecture of solid tumours. Tumouroids are currently developed from cells from individual patients to test their response to different drugs and determine their potential for personalised medicine. Recognition of the heterogeneic nature of the cancer microenviroment has led to a drive away from “flat biology” 2D cell culture to 3D biomimetics. This fast developing field is driven by two major imperatives: (i) The requirement for laboratory mimetic models to enable interrogation of genetic, molecular and cellular events in real time to understand cancer biology better; (ii) The demand for test platforms to assess drug responses that are translational and relevant to the clinic. Our aim was to create a biomimetic cancer model suitable for interrogating both disease pathophysiology and treatment efficacy. We have tissue engineered a 3D in vitro model of cancer (tumouroid) which recapitulates the microarchitecture of solid cancers. Tumouroids comprise a central cancer mass, manufactured by mixing cancer cells and collagen 1 (as the basic extracellular matrix protein) and applying plastic compression to the resulting gel, to increase tissue density to physiological levels. The cancer mass is nested into a larger connective tissue compartment, made of collagen 1 (and other ECM proteins), fibroblasts, endothelial cells (to mimic cancer stroma); the two-compartment construct can be compressed to specific parameters. 1. Manipulation and characterisation of key aspects of cancer cell pathophysiology in tumouroids. Specifically, using colorectal cancer tumouroids, an increase in controllable tissue density (up to 10% collagen) changes invasive profiles of the cancer mass, from a pattern of spheroids budding off and invading the stroma, to a pattern of invasive sheets. While the addition of laminin (nM-mM) drives cell-cell fusion of endothelial cells within the stromal compartment to create a primitive vasculature-like network. 2. Response to treatments. Using prostate cancer tumouroids as exemplar, responses to classical chemotherapeutics can be described at the level of the tissue (e.g., metabolic activity assays); the cancer cell (e.g., PSA biomarker production) and at the subcellular level (cell cycle states using FACS). Importantly, by incorporating nanotechnology (e.g., fluorescent quantum clusters) conjugated to drugs, drug fate can be visualised at the cellular level and within the 3D volume; furthermore, drug effects can be delineated for the cancer mass versus the stroma. Tumouroids have an element of novelty not realised in in vivo models, allowing in depth investigations that can drive and speed preliminary cancer drug screening. 3. Patient derived tumouroids. Incorporation of primary cells from cancer tissues excised at surgery has been approved for different cancer types. The aim is to create platforms for testing drugs (for responders/non-responders) towards stratification of treatment for each patient. Tissue engineered tumouroids provide a powerful and sophisticated tool for basic and translational research.